All rumours and intel suggest that the controversial badger cull looks set to start this Bank Holiday Monday, 26 August 2013. Whilst many will be enjoying BBQs, weekends away or even just some good old Bank Holiday DIY, others will be cleaning their rifles, sorting their body bags, putting on their hunting gear and heading to the South West. Since the very onset of announcing the cull we've been assured by the government and the National Farmers Union (NFU) that the cull is not only necessary but also will be safe, humane, scientific, and that it even has the badgers best interests at heart! But, even ignoring the flawed science - which I've spoken about at length in previous blogs (and which clearly states the cull will have no meaningful effect on TB in cattle), if the government and the NFU are so confident that the cull is all these things, then just why is there such a continual attempt to cover up every detail and every anti-cull rumbling with secrecy, lies and an 'out of sight, out of mind' approach? Recently, government claims that 'we need to solve the bTB issue as it poses a health risk to the public', were followed closely by the reveal that the Government was in fact selling the very same meat from infected cattle that had been destroyed right back into the food chain. Then there was the claim that humaneness was a priority for the cull, followed by our Freedom of Information request that showed just 120 out of more than 5,000 badgers shot (only 3%) during the upcoming badger cull will be monitored to ensure their killing was humane, and some would be monitored 'remotely'. Typically you would expect around 50% for a study like this. Then there was the victory from Humane Society International (UK) that led to Defra coming under fire from the Information Commissioner for purposely failing to fully disclose requested information about how it would test whether the cull was humane. There are ample more examples like this, plus the fact that the Government is conveniently ignoring the online petition that says stop the cull, now the largest of its kind ever, with over 265,000 signatures to date. This doesn't install me with confidence. The latest in the line of catastrophic failures? A new high court injunction that aimed to ban peaceful anti-badger cull protests anywhere within the cull zones (or in fact anywhere else nationwide with just 24 hours' notice). After much panic and some money (that could have been better spent on badgers and wildlife - thanks NFU), our friends at the Badger Trust managed to get the injunction reworded so that peaceful protest is once more allowed. Don't get me wrong, the wrapping paper of this injunction we have nothing against. 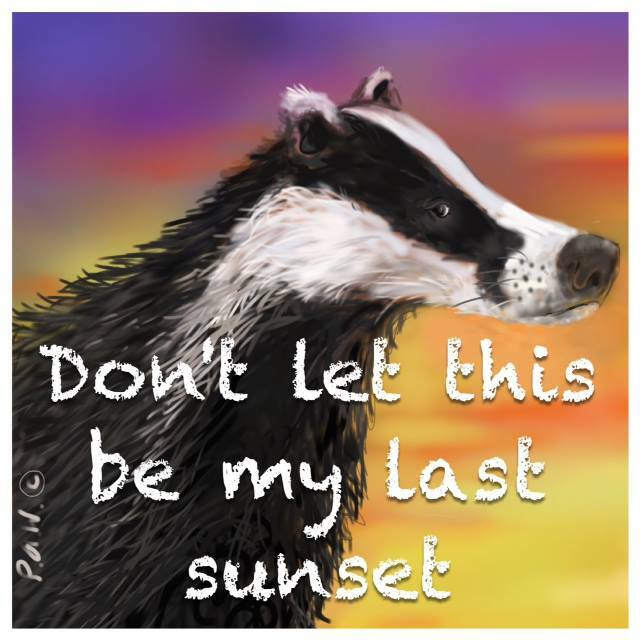 The injunction sought to protect those involved in the cull from harassment or intimidation and this is something we at Care for the Wild understand and welcome. But, the issue with the injunction was its true core. Scratch the surface, dig just a tiny bit deeper (just to page 3 of the 450 pages in fact), and you'd have come across point 2.3.1 that said 'any person protesting against the cull or participating in unlawful activity to harass or intimidate'. So, protesting about the badger cull in any guise would have been out - even if it was lawful, peaceful and away from where the shooting was taking place. What's more, the injunction was so far reaching that it effectively prohibited everything - including the use of long beam lights on public footpaths, photography or video of any 'protected person', vehicle or building (which includes any farmer or farm building anywhere in the cull zone), and it even aimed to make illegal for countless people the act of emailing, phoning and/or contacting via social media any farmer or NFU employee in the cull zone, for anything at all. So, to put this in layman's terms, if your gran lived on a farm in the South West of England, you'd better be careful if you phone her. Not only was so much of this pretty much unenforceable, it was also just plain ridiculous. This is England, not some dictatorship. Peaceful protest is what we do - we march, we leaflet, we petition - it's in our blood and thankfully now we can still do it. Middle England won through and David (not Cameron) beat Goliath. Let's hope when the shooting starts, Middle England exercises that right once more and that people make it clear that enough is enough. Of 5,500 badgers to be shot during the pilot culls, only 120 will be independently monitored for humaneness, DEFRA has admitted. 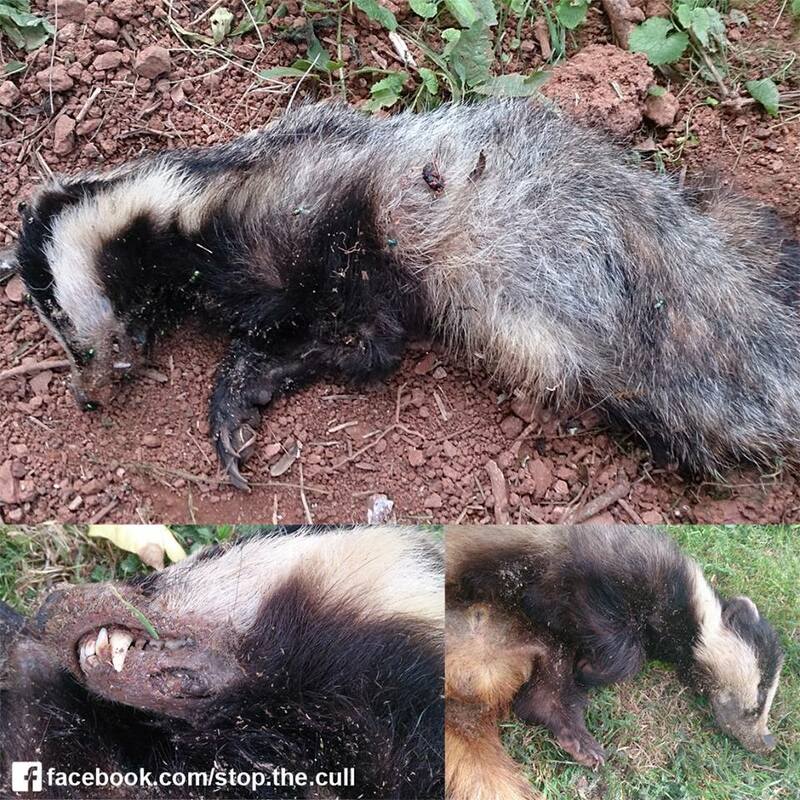 And just 4 Natural England officials will oversee the killing in Gloucestershire and Somerset. 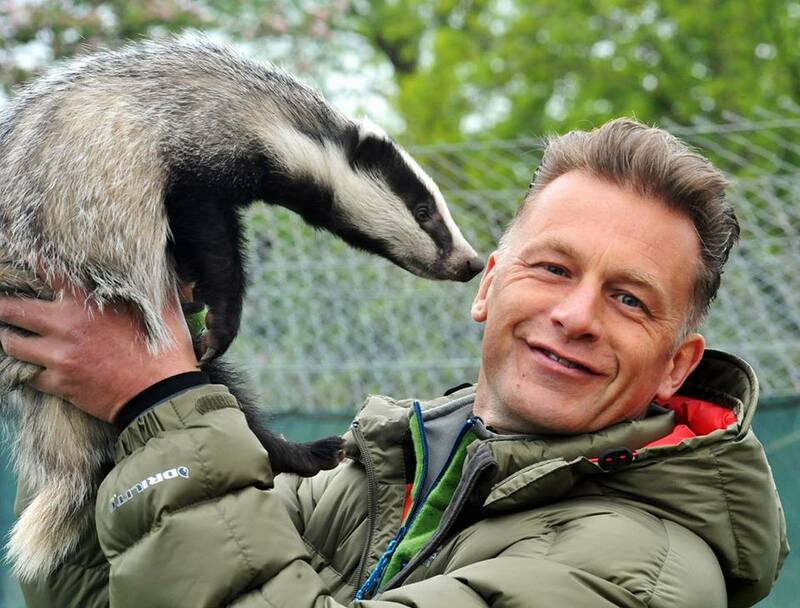 All this should raise further alarm bells about the nature of the cull, says Care For The Wild's Dominic Dyer. However within hours of his comments, DEFRA dropped a bomb shell by revealing to Care for the Wild International that out of 5,500 badgers to be shot during the pilot culls, only 120 will be independently monitored for humaneness. To make matters worse, Natural England also confirmed that they will have only 4 shoot monitors to cover the West Gloucestershire and West Somerset pilot culls zones and only 2 of these will be on the ground at any one time. Reassurances from DEFRA that they will make up for the lack of monitors, by undertaking follow up phone calls with the cull marksmen to check what happened on shoots the previous night, will do little to restore public confidence in the humaneness of the badger cull. DEFRA has established a panel of independent experts to oversee the humanness of the cull, but leading scientists with expertise in animal welfare are shocked by their failure to call for much wider shoot monitoring. For pilot studies of this kind it would expected that around 50% of all shooting incidents would be monitored for humanness, but based on the figures provided by DEFRA the numbers will be closer to a tiny 4% of all the badgers to be killed. This is of critical importance because none of the shooters to be used for the cull will have any previous experience of shooting badgers and by DEFRA’s own estimates, free shooting at night will result in possibly hundreds of badgers suffering non - fatal wounds and a long painful death from organ failure, secondary infection and starvation. Attempts by the Prime Minister to justify the pilot cull on the basis that shooting badgers is good for their welfare as they carry TB is completely undermined by the fact that a majority of badgers live their natural lives without showing any clinical signs of TB. 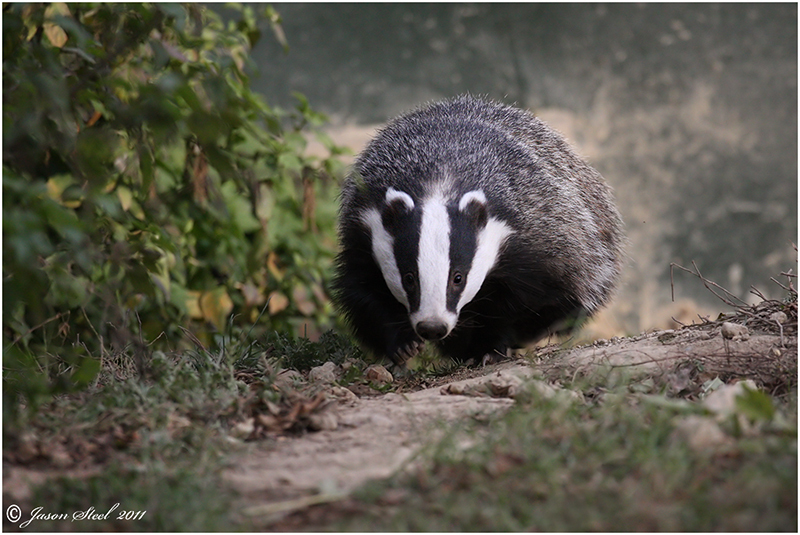 In fact the largest recent testing of badgers for TB undertaken during the Randomised Badger Cull trials, confirmed that only around 1% had extensive signs of the disease. Another critical factor in the humaneness debate that worries leading scientists with expertise in bovine TB such as Lord Krebs, is the dangerous impact of a large number of wounded badgers leading to population disruption and movement between setts, increasing the danger of spreading TB to new areas. If the government truly cared about animal welfare and reducing the risk of spreading bovine TB more widely, they would have required all badgers to be trapped in cages before they are shot for each of the pilot culls. They have stepped back from this in view of concerns on the cost, but this leaves a policy where thousands of badgers will be shot at night in the most cruel and inhumane way. In the coming weeks we are likely to see many disturbing images of dead and wounded badgers being circulated on Twitter and You Tube, as a result of the pilot culls and the level of public concern on the humaneness and justification for this killing of a protected species will continue to grow. If the Prime Minister wants to show real political courage he would be wise to listen to public and scientific opinion and to quote the words of animal welfare campaigner and author Jilly Cooper 'call off this of this disastrous badger cull which is going to be as brutal as it is useless,' before the first shot is fired. Dominic Dyer is a policy consultant with 'Care For The Wild'.